MICHAEL IS A BESTSELLING AUTHOR, MOTIVATIONAL SPEAKER, CHILD AND YOUTH ADVOCATE, AND LANDSCAPE PHOTOGRAPHER. Michael has worked as an aircraft maintenance engineer in the Royal Australian Navy, as a university researcher and teacher, teaching chemistry and physics, as a chemistry and mathematics teacher in several high schools and also as an instructor in surfing, snowboarding and mountainbiking. Michael was the recipient of $160,000 to study at university, including PhD (Chemistry) and Medicine scholarships. In 2014/15, Michael rode his pushbike around Australia, a total distance of 14,000 kilometres, to raise much-needed funds for the Kids With Cancer Foundation. He raised almost $40,000 for children suffering cancer. Michael is a published photographer and on his pushbike ride around the country, took numerous landscape and nature photographs, capturing Australia in all its stunning grandeur. Some of these images appear in his book, Journey of Charity; The Photographic Odyssey, which leaves the reader marvelling at the beauty that is Australia. Michael now works as a motivational speaker where he travels the country, inspiring others to grow and become the best they can possibly be as they strive to overcome the many challenges that life invariably presents. I had to be careful on the highway, especially in Northern Australia. On this particular day I had just started my journey south on the Great Northern Highway. 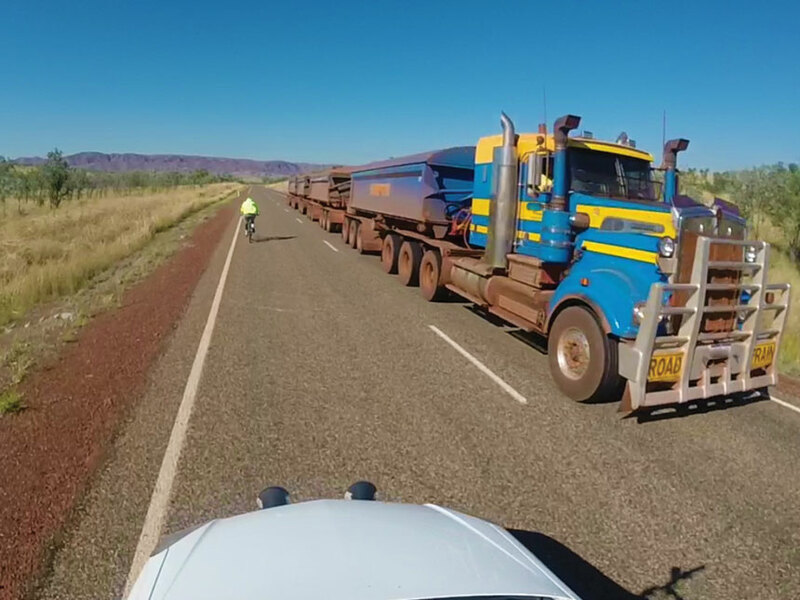 Located in the Kimberley Ranges in Western Australia, it was a spectacular day's ride, despite the massive road trains that continually went past me travelling in either direction. This particular truck had 86 wheels, but wasn't the biggest that I saw on my ride. I was halfway around Australia and definitely needed some time out to rest on my 14,000 kilometre odyssey. Broome seemed like a good spot and I wasn't disappointed with the beautiful coastal scenery. 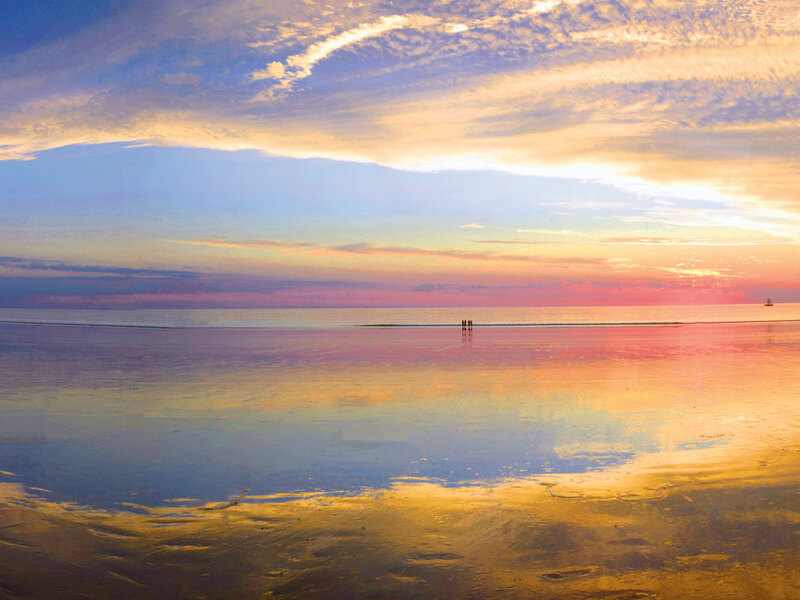 This is Cable Beach in Broome and the gorgeous sunset lasted for more than an hour as the sun slowly set over a tranquil, but stunning Indian Ocean.